Some recently held incidents in the country are based on the traditions, be it Sabrimala in Kerala, Shani temple in Maharashtra or an issue of a Muslim dargah. 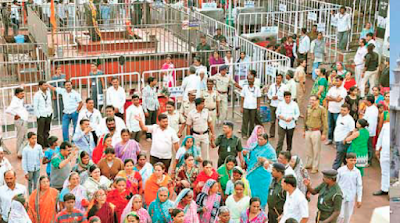 It is matter of satisfaction that at least on this issue; temple and mosque are on the common platform. Both are behaving in same manner with the women. 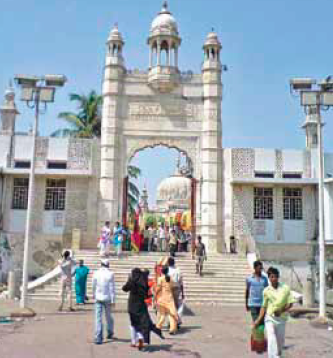 For the information of the readers, near the grave in the famous Haji Ali Dargah of Mumbai, women, particularly who are in menstruation period are strictly prohibited. The same rule applies for women in the temples. Obviously, this rule has not been framed by the God or Allah as both – male and female – are their own children. Such rules are prepared by human being, males particularly. Ask any male that you pray different god and had they been not born from any woman? Jesus Christ and Karna also needed mother and depriving such mother power from praying the god is how far a religious work? without a woman going in such condition? In fact, understand the meaning of menstruation. It is called as `masik dharma`. Now why this dharma (religion) is so disrespected? And clarify one point that if you hate this to such an extent, why you have placed Sita with Rama or Radha with Krishna or Parvati with Shiva in the temples? Had they not been undergone such a period? Were they free from it? Besides why our Muslim brethren should follow `Wahabi` sect of Saudi Arabia? If they follow it, means offering flowers on graves or praying it is like a Hindu act, while it is strictly prohibited in Saudi Arabia. Now why I am highlighting these points? I want that all the temples or mosques should be opened for everybody like Gurudwaras or the Churches. If you say them as the abode of god, why there is division line between Hindu or Muslim, male or female, black or white, moneyed or poor? As far as serenity is concerned, the devotees keep it in mind. People, while entering temple or mosque wash their hands and legs. Why we can’t trust women? Now which woman will think to visit abode of god in such condition? We should consider about such traditions with open heart. Or mind it, the time is changing. In future only reasonable decisions will be affective and we will be left behind. Two Muslim women of Rajasthan declared that they have attained all the qualifications of being quazi.Jaha Ara and Afroz Begum, both took two years training in Darul- Ulum-E-Niswan in Mumbai. woman is appointed as judge, how it is harmful for the Islam or the community? Being shahar quazi is a normal thing. And if it violates the Muslim law, Muslim woman’s election or nomination as Prime Minister or the President should be declared as a `kafir` act. Now why Benazir Bhutto, Hasina Wajid or Khalida Begum were tolerated in Pakistan and Bangladesh or how Razia Sultan became the Sultan of Bharat. The begum of Hazrat Muhammad Saheb, ‘Hazrat-e- Ayasha’ had taken big decisions on justice or fought many wars bravely. We should respect it. It is right that around 1500 years ago, when there was darkness prevailing in Arab nations, when Paigambar Muhammad Sahib came for revolution. He taught the lesson of equality in male and female. Is there no need to take this lesson forward? In fact, the Indian Muslims should prove that they are the best Muslims in the world. As far as law is concerned, it gets amended according to the country and the period. It has the least to do with the religion or the spiritualism. Now Islam is not limited to Arabs or what was preached 1400 years ago. Without changing its fundamentals, it is important to make it practical. And this applies to all the religion and not Islam alone. Australia on January 26. After he hoisted the flag, the Police conducted a raid and he was arrested. He was presented before the court, where he was awarded imprisonment of 10 years, as he was found violator of Pakistan’s sovereignty. Now what to say section 123 A and the court? If a citizen is hoisting the flag of any nation atop of his house, how it is violation of the sovereignty of that country? Of course, he can’t be allowed t insult his own country’s national flag. Umar Daraz has not insulted the Pakistani flag. Had he hoisted the flag on Pakistan’s defeat at the hands of India? No. He just expressed his affection, which is boundary less. It is pity at the part of the court and the law that such a youth has been punished. I am eager to see the day, when all Indian citizens will hoist Pakistani flag atop of their houses and all Pakistani people, hoist Indian flag in their residences. Not only this, I also want that people of all the neighbouring countries of India should hoist flags of all the countries. But I know, it is not possible in my life as the leadership of South Asia is not so courageous, tolerance with farsighted as that of Europe. Their life is solely aimed at vote and note. They do not have time to realize such big dreams. But I wish that the life of Umar Daraz should be long so that his generation could see, such dream turning a reality. And it is going to happen one day. should not accept gifts at all? No, how it is possible as gifts are given out of pure affection, pure love or pure gratitude. Denying such gifts could be insulting also. It could be touted as proud or rigidity. But there should be carefulness, while accepting such gifts. Though, it may happen due to ignorance. Many times, heads of different states, Prime Ministers or Foreign ministers gifted me fountain pens and in return, I too gave them some gifts. But later, I came to know that the gifts given to me were of worth Rs 5 lakhs. Now, what was its use for me? For me, a pen of worth Rs 5 is equally useful as that of Rs 5 lakhs. To exhibit it on the pocket of the `kurta` look very odd. It is more disgusting, when the leaders wear or carry such costly gift items be it shawl of Indira Gandhi costing Rs 50,000 or suit of Narendra Modi, costing Rs 10 lakhs or now the watch of the Chief Minister SIddharamaiya, costing Rs 70 lakhs. In fact, the leaders should evaluate their own price. If a leader thinks that costly shawls, watches, suits, goggles or cars add to their values means he or she is suffering with inferiority complex. India is a democratic country. The world is heading towards more simplified, strong and clear democracy. Hence, a leader in the democracy should live simple and close to the people, which enhances his own personality. of his house, how it is violation of the sovereignty of that country? Of course, he can’t be allowed to insult his own country’s national flag. Umar Daraz has not insulted the Pakistani flag. Had he hoisted the flag on Pakistan’s defeat at the hands of India? No. He just expressed his affection, which is boundary less. It is pity at the part of the court and the law that such a youth has been punished. Today India and China have emerged as the capitals of diabetes. According to the World Health Organization, the diabetes has assumed the shape of epidemic. In India, the disease is fast gripping the population and the unfortunate part is, it is affecting the youths more. The disease has stepped-in into the rural areas as well. According to the International Diabetes Federation, by 2030, around 87 crore people will be diabetic. According to a survey conducted by WHO and ICMR in 2007, diabetes disease is becoming a common problem in the country. In the metros, 7.3 %, urban and semi-urban areas 3.2 and in rural areas, 3.1 % people are suffering with diabetes. The WHO has estimated that in the decade, developing countries will be the most affected of the disease. According to the fresh data, 70% patients of diabetes belong to lower or middle income group. If we see global picture, of the total every 5 diabetics, 1 is Indian. found. With the lack of Vasopressin hormone, these elements are scarce in the body and as a result, more urine is expelled from the body. The relative gravity of the urine decreases and slowly 10-25 liters urine comes out of the body. Resultantly, the body becomes dehydrated. The situation causes excessive thirst and hunger and the body grow weak. urinator and secondary changes in the urinary genital reproductive organs. Though, the rise of Diabetes Insipidus is limited. pre-diabetes period. Normally, the pre-diabetic period continues for 5-10 years. The symptoms include apple shape body, more acnes, boils, pimples occasionally, spotted skin and increased blood pressure. The hereditary cause is also the biggest reason. Understanding the reason is the easy way to keep diabetes at bay, a life style disease. According to the experts, lack of physical labour is the first step towards diabetes, particularly the pre-diabetes period starts due to unhealthy life style. In urban and metros, the youths are spending their life with sedentary desk jobs, more work-pressure, irregular eating habits, awakening till late night, late rising in the morning, and working till late night. This is causing hormone imbalance and sleep disorder. In young age, people are gaining weight, change in physical appearance, poor digestive system are the common complaints. Hungry for longer period and limited physical labour are the causes of pre-diabetic symptoms, which ultimately cause diabetes. • Obesity and weight gain, irregular menstruation cycle, more anxiety, tension lack of sexual desire. • Loosening of skin near neck, armpits, ankles and joints at hands. Folds develop on the skin, which is called acanthosis nigricans in medical terms. • Repeated boils, pimples, spotted skin, repeat skin related infection, teeth infection, gap between teeth etc. 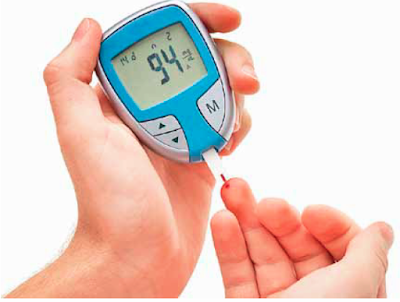 • The people, who are below 35 years are less prone to diabetes. The threat increases between 35-50 years of age and increases above 50 years. chances of being diabetic are much more. • The hereditary family history, physical labour, dietary habits and life style are also important factors for diabetes. • HBAIC investigation shows in three months that how body could manage glucose. This also reveals how life style is healthy. Means, if the blood test ranges between 5.7 to 6.4%, it is normal but if it exceeds 6.5%, it exhibits the suspicion of being diabetic. • Fasting plasma glucose test also analysed the glucose proportion in the body and if your FPCT is less than 100, means you are healthy. If your FPCT is between 100-125,means it is alerting situation as you are on the verge of being diabetic. And if FPCT is above 125, means threat of diabetes looms large. Insulin is actually a chemical, which comes out from the beta cell of islet of lagerhans in pancreas regulating glucose level regularly. Glucose is the sugar, present in the blood, which gives energy to the body regularly. We receive this sugar from food. Thus, when glucose level increases, insulin stores it in the muscles of liver and the body. Likewise, when the sugar level is low in blood, this insulin mixes the stores glucose in the blood so that the body gets energy continuously. In a healthy body, insulin does this work uninterruptedly but with the irregularity in insulin, other problems start. Irregular dietary habits, life style, tension also trap some new people, while others have hereditary problem means, in a family where history of diabetes is present the probability of new patients is much more. Diabetes is of two categories. First is type - 1 diabetes in which pancreas stops developing insulin and in such situation, synthetic insulin injection supplements the supply of glucose. Type 1 diabetics solely rely on insulin injection. The second category is Type-2 diabetes in which our body becomes insulin resistance. In such situation, pancreas either produces limited insulin or insulin does not control the glucose level in the blood. Bringing change in the life style, in the dietary habits, increasing physical exercise, yogasan, anulomvilom and the necessary medicines could control type – 2 diabetes. Generally, it is seen that in the developed countries, type-2 diabetes is more prevalent while in developing countries type-1 diabetes is more prevalent. Polyphagia, polyuria, polydipsia, weight loss and much leaner body. absorbed later. This glucose forms glycogen and stored in the muscles of the body and liver. When the muscles work, due to the effect of insulin, glycogen mixed with oxygen to form carbon-di-oxide and water. Carbon-di-oxide is expelled from the body through lungs and kidney. In the process, energy and temperature is developed, which is necessary for the healthy body to work. In the healthy state, during fast, the blood sugar means fastiny blood sugar is between 80-120 mg per 100 cc of blood. When this amount increases to 180 mg, sugar is being released from the urine and this quantity of sugar is called renal threshold. In the natural situation, CHO protein and metabolism of carbohydrate have deep relationship. In diabetes, the metabolism of sugar is improper and hence the metabolism of protein and carbohydrate also gets disturbed. In natural situation, a human being takes energy basically from sugar. CHO provides sugar 100%, protein 60% and carbohydrate 10%. When a person is diabetic, there is no metabolism of CHO and hence, the body gets sugar from protein and carbohydrate. Thus, the quantity of carbohydrate and protein decreases in a human body and the person starts getting weak. The sugar is being released from urine and hence the relative density of urine increases. The diabetic takes sugar from food but due to lack of insulin, it does not produce energy and hence the body takes glycogen from the liver and thus, the CHO quantity starts decreasing. Due to lack of insulin, a person fails to get energy from glycogen and hence it damages protein and carbohydrates of the body to produce glucose and try to get energy from it. As a result, the person starts getting weak. This situation is called Gluconeogenesis. When the metabolism of CHO is distorted, ketons are produced at a faster pace and the tissues of the body could not damage it at the same rate and hence, ketone gets deposited in the blood. Ketones in the blood mix with biocarbonate to form fixed salts. Thus, the alkali quantity in the body decreases and the symptoms of acido-ketosis are generated. The ketones deposited inthe blood do not get mixed with alkali and hence, urine starts releasing ketone. through blood, and thus we get energy. The body produces the same amount of insulin, what we eat as food. When the cells of the body stop responding insulin, they become insulin immune and the glucose fails to reach the cells. Thus,the cells do not get adequate energy and the glucose remains in the blood. This condition is called high blood pressure. This, in the long term causes kidney, nerves troubles, heart ailments, stroke, BP and eye related diseases. Thus, it is said that diabetes is not a disease alone but a group of diseases. • Sweets, sugar, candy, jiggery and other sweet objects. • Rice, potato, meat, eggs, smoking, tobacco or intoxicants. • Artificial sweeteners, which are also called sugar-free. • Junk food and cold drinks, new grains, curd, sugarcane juice, sweet lemon, banana, pomegranate, sweet apple, sweet grapes, sweet mango, figs, sapota, turnip and beet. In the diet the following foods are good. • `Charak Samhita` has mentioned that if a cow is provided ungrinded wheat, barley, soyabean and when it comes through the dung, pick-it up, dry, grind and eat after preparing roti or other dishes. It is beneficial for the diabetic patients. • Use water kept in the utensil of `vijaysaar` wood 8-10 hours earlier. • Stevia plant is naturally sugar free. Pluck its leaves, grind, dry and prepare powder. Make tablets of it, which is benefi cial. Its tablets are also available in the market. • Take pulse of gram, kidney bean, pigeon pea and use. • Bitter gourd, bottle gourd, luff a, parwal, tomato, pumpkin, cucumber, green chili, spinach, onion, garlic, ladyfinger, fenugreek, radish, bathua and other vegetables. 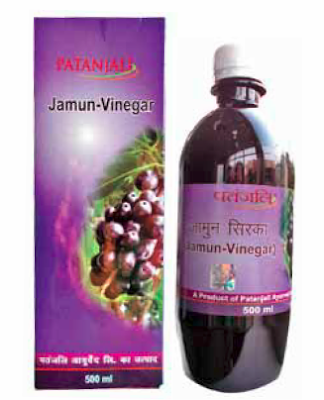 • Lemon, aola, jamun, guava, papaya, bitter apple, watermelon etc and all astringent juice fruits can be taken. • `Haridra`, `daru haridra`, neem, fenugreek seeds are helpful. • Unsweetened milk, butter milk, `lassi`, all are benefi cial. • Extract of hibiscus and rubus consumption also treats diabetes. • Take 15-20 minutes stroll after meals. • In the morning 2-3 kms brisk walking. • Quit sedentary life-style and don’t sit long. • Don’t sleep in day after meals. • Keep anxiety and obesity away. • Don’t work late at night. • Avoid the habit of sleeping in late night till late morning. • Be positive in thoughts. • Take meals at the proper time. • Don’t eat excessive food. • Regular yoga exercises, mandukasan, anulom-vilom, kapalbhati, bhastrika, suksha pranayam and other yoga exercises are sure shot relief giving measures. Though, seek doctors’ advice before taking medicines. Shilajit, Chandraprabhavati, Suvarna Malti Ras, Guggul, Haridra, neem, aamliki pey, with doctor’s advice. 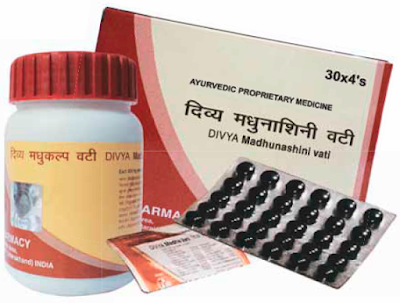 In Ayurvedic medicines, take Madhunasni Vati of Divya pharmacy, Madhukalpa Vati and many other medicines. But the most important is healthy diet and then, medicinal treatment, only after which, the diabetes treatment is possible. Every human being needs health, beauty, power (strength), prosperity and peace without which, the life is incomplete. But all these could be attained with the help of yoga only. For the entire universe accepting yoga, we will have to make the nation as yoga-loving. Everybody will have to get associated with yoga and should have to perform yoga exercises. Th e campaign could be started with 2-5 minutes of pranayam. Today, every MP, MLA, IAS, IPS, CM and PM, everybody performs yoga. Even many new followers of yoga have developed, which is favourable for the nation also. Remember, Yoga is important in every aspect of the life. Like, the problem of hair loss begins, when the hair cells do not get adequate oxygen. When the eye cells do not get adequate oxygen, glaucoma is developed. When the skin cells do not get adequate oxygen, it causes skin disorders. Yoga develops a system to supply oxygen to them. 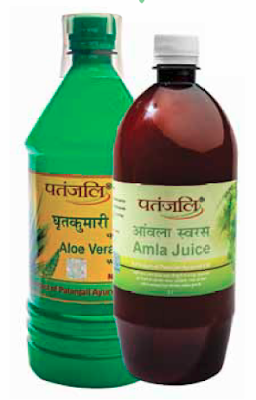 I am giving an example of herbal products, which are full of health benefits. Take aloe vera and aolajuice, which bring glow to the body skin. Kapalbhati is the yogic respiratory technique, which has been described in the yoga related tracts. Its practice is being done with the increase in the rate of respiration, which includes active (voluntary) respiration (with the contraction of the abdominal muscles) and inactive (involuntarily), breathing (exercise of abdominal muscles). For the practice of Kapalbhati, the practitioner should have to sit in padmasan, siddhasan or sukhasan keeping spinal cord and head straight. The practitioner should close eyes and with focus on breathing process. In the traditional yoga tracts, special mention of the Kapalbhati practitioners is being found. In Gherand Samhita`, 3 different categories of Kapalbhati have been described..
1) Vata Krama – In the process, breathing is taken from the left nostril and released from right nostril. In second step, breath is taken from right nostril and released from the left nostril. 2) Vyut Krama – Vyut Krama Kapalbhati is being practiced with water being sucked from both the nostrils and released from the mouth, slowly. 3) Bheet Krama – In this process, water is taken in from the mouth and released from both the nostrils. perform Kapalbhati, old-age related disorders remain at arms’ length from them. 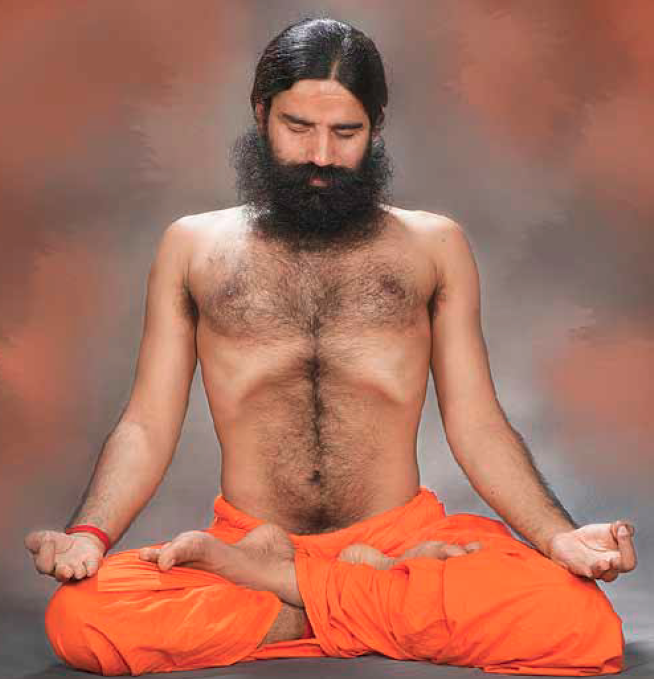 Other traditional yoga books like `Hath Yoga Pradeepika` also describes similar benefits. Keeping these benefits of yoga in the ancient books, when scientifi cresearches were made with the help of modern equipments, the scientists got the following results. Heart related affect – This is a well-known fact that our heart beats reverberation fluctuates, according to the need. When we run fast, the heart beat also speeds-up. The reason behind is, to fulfill the need of the muscles; heart has to send more blood in different body parts. When we rest, after fast running, heart beat turns normal. The autonomous nervous system plays an important role in amending the speed of the heart beats. With the activity of resonating nervous system, the heart beat goes up and with the activity of de-resonating nervous system, it goes down. Heart Rate Variability (HRV) is a standard of measuring autonomous nervous system. The impact of Kapalbhati was studied on Heart Rate Variability, which found that after the practice of Kapalbhati (respiration rate 60 per minute) there remains no resonating activity, with no tension on the heart. According to bio-psychosocial Medicine 2011, 5:4, the result shows that the peoples, who have grown older and affected of high blood pressure or under the risk of heart related diseases, may perform Kapalbhati (respiration rate 60 per minute) without additional pressure to their heart. and physical conditions. Oxygen is a very important factor in energy expenditure, which helps in energy burning. The more is the consumption of oxygen, the more is burning of energy (taken from the food). To identify, how Kapalbhati helps in the consumption of energy, an experiment was performed on the healthy employees. According to Medicine Science Monitor Basic Research 2015 21:161-171, it was found that during Kapalbhati, the consumption of oxygen increases by 30%. The conclusion was drawn that the practice of Kapalbhati, the energy consumption increased by 42% and hence, it is beneficial in reducing he obesity. 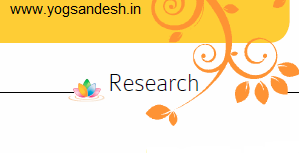 concentration or meditation – a study was performed. Evoked potential is one of the equipments, utilized to measure the concentration level. efficiency. Means, their mental efficiency increases as compared to those, who do not.